ASHRAE Standard 55-2004 determines the temperature, humidity and airflow which the average worker is comfortable; and though people in many industries have the luxury of dressing for the seasons, laboratory workers are usually burdened with an extra layer or two of protective garb. 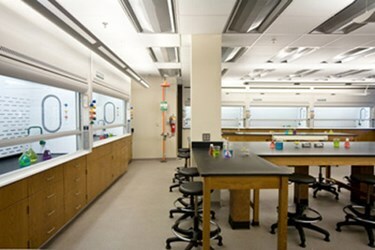 So, room atmosphere considerations also need to take into account that many laboratories have their own requirements as to temperature, humidity and airflow (ventilation). All of this adds up to a laboratory having very strict conditions of the facility’s internal air quality.